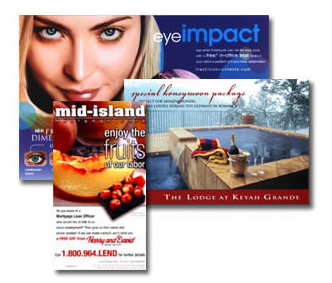 We offer incredible value for postcards printed in full color on our digital presses. We can also address or mail your cards and in many cases you'll even qualify for lower presorted or standard mail rates. Why choose Presentech for your postcard printing? Our state of the art digital presses emulate offset printing so your cards look incredible no matter what quantity you're printing. Plus, with the power of our variable data printing, we can vary the text or the images on each card according to the parameters you set to make your cards stand out and get noticed for significantly higher response rates. Learn more about our mailing options and setting up your mailing list.